I know the holidays are over but, I just spotted these cutie's on Craftig. I just want to eat them up...literally! You have to jot on over to Not Martha and see more pictures of them. 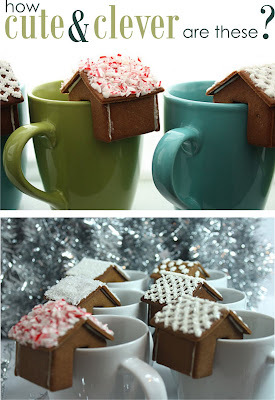 I'm definitely stashing away the PDF tutorial on how to make them for next Christmas. These would be great to make for a girlfriends night in. They just scream out mocha or latte to me!